Flat of 65m² with 2 bedrooms, all furnished. 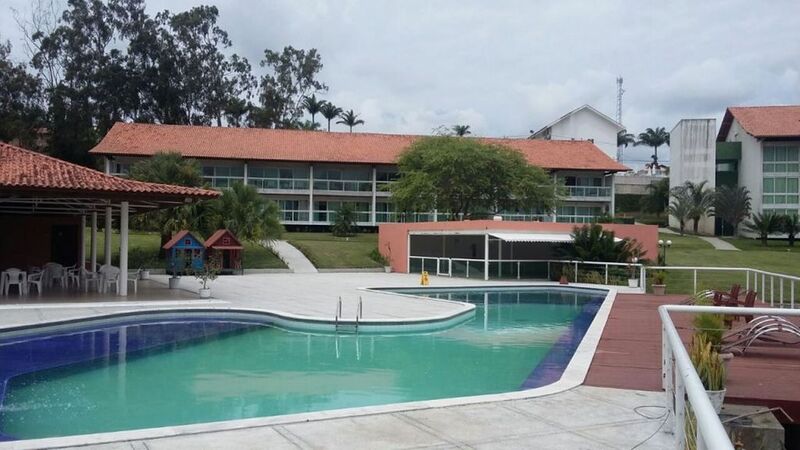 The Villa Hípica Flat & Club is situated in the most popular and touristy mountain town of Pernambuco, Gravatá is an entertainment center at any time of the year, but highly frequented at times of holidays and long holidays, when it brings great events to the city. The flat has 65sqm, with two bedrooms, full American kitchen, living room for two environments, bathroom and large balcony. The apartment is fully furnished with air conditioning, refrigerator, kitchen utensils, dining table, sofa, cable TV and Wi-fi internet, so you post the whole tour on your social networks, everything to enjoy and relax totally during the period. Accommodating seven people perfectly. Maid service included every day (cleaning and housekeeping), in addition to all the structure and leisure programs offered by the Hotel, which includes: recreation every day until 6 pm: horseback riding and carriage, with a visit to a complete farm (emas, ostriches, geese, ducks, horses, ponies, peacocks, cows). I would fish in the beautiful central lake, with the help of monitors. Arts Offices. With workshop of kites, drawings, paintings in plaster, mass of modeling and manufactures of biscuit. Cycle path, jogging track, soccer courts, volleyball and tennis courts, full games room and heated swimming pool. Live shows in the hotel area for free. Special packages for all seasons. Come meet! Além do flat ser bastante equipado, o espaço é muito acolhedor. Dispõe de amplo espaço de lazer. Fazendinha, brinquedoteca, piscinas, lago. Maravilhoso. seasonal recreation services are charged separately on site and depends on the generosity of each client. Para períodos de alta temporada ou feriados prolongados consultar o proprietário.